Drawing and sketching are central to the art of animation and can be crucial tools in designing and developing original stories, characters and layouts. 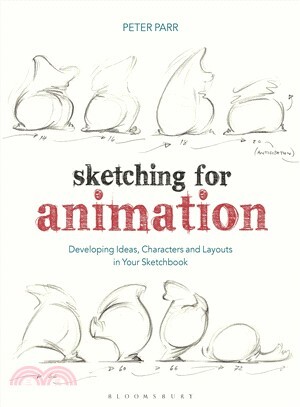 Sketching for Animation offers a wealth of examples, exercises and tips from an army of professional animators to help you develop essential sketching, technical drawing and ideation techniques. With interviews and in-depth case studies from some of today's leading animators, including Bill Plympton, Glen Keane, Tori Davis and John Canemaker, this is a unique guide to turning your sketchbook - the world's cheapest, most portable pre-visualisation tool - into your own personal animation armory. Peter Parr, Reader in Animation (Rtd) and MA Supervisor for The Arts University at Bournemouth (AUB), UK.